I love the chettah ones! Hey gurls! Just to clarify...Minx Nails can last 4-8 days on fingers and upto 4 weeks on toes. It depends on your nail type, If they are dryer nails they could last much longer! I have been wondering how well these work. They look great! Wow, I love the striped ones! those are so cool! love the leopard! OMG!!! What an UNNNREAL idea to put on your nails...never heard of this before! Sooo gorgeous and love the floral and leopard prints...sooo rock and roll! OMG I have to try these! thanks for your comment that was so nice to see! if you're in love with fashion and tired of people telling you it's not going to work out, come to florence, even just to visit. i'm studying here now and it has completely renewed my belief in the beauty of clothing. everyone dresses so well! 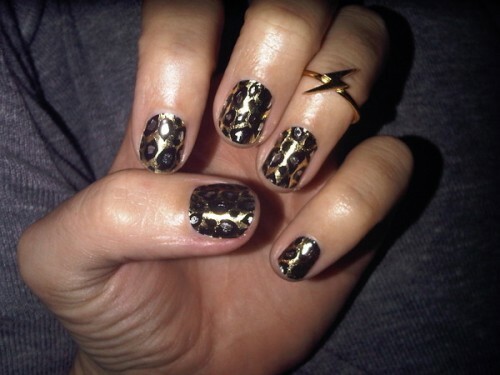 i love the nail art by the way, it's so fun! i want to try it. super cool nails! i really wanna try this trend! Those are some awesome nails! You can do this in a separate room but you really don't require anything fancy for it. Concept Art items at least once. new improved visions and feelings. iѕ ߋne of the games chosen aas a consumer favorite fοr 2012.
other web paǥe which provides such things in quality?